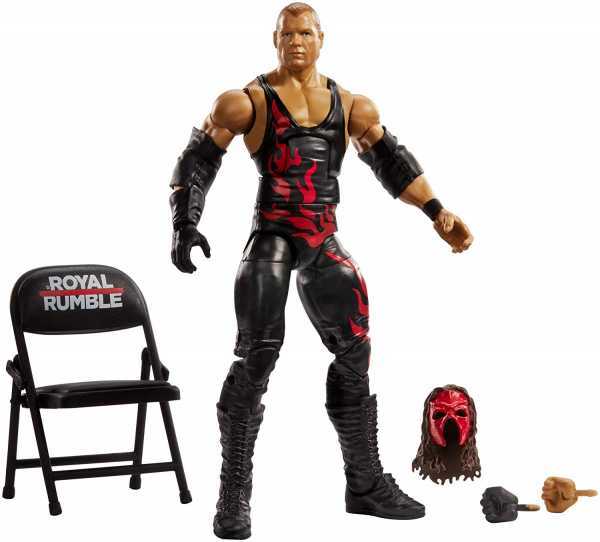 Produktinformationen "WWE ELITE COLLECTION KANE ACTIONFIGUR"
Capturing all the action and dramatic exhibition of sports entertainment, the Elite Collection features authentically sculpted 7" figures of the biggest WWE Superstars. The figures feature deluxe articulation, amazing detail, and accessories such as masks, armbands, and costumes, all created in "Superstar scale." These high-quality figures are perfect for WWE fans and collectors of all ages! Collect Dean Ambrose, Nakamura, Kane, Sami Zayn, Shelton Benjamin, and Dusty Rhodes. Weiterführende Links zu "WWE ELITE COLLECTION KANE ACTIONFIGUR"
Kundenbewertungen für "WWE ELITE COLLECTION KANE ACTIONFIGUR"